Eileen and Danny are part of an amazing love story. You can see it in the way Danny looks at Eileen. It’s a common theme throughout their day and you can see in the photos we captured, he adores her. Their wedding was at The French House which is the focal point of French Park in Cincinnati, Ohio. It was the perfect backdrop to their whimsical, outdoor wedding. Everything from the flowers to the bride’s dress was elegant and matched perfectly to the bride and groom’s personality. 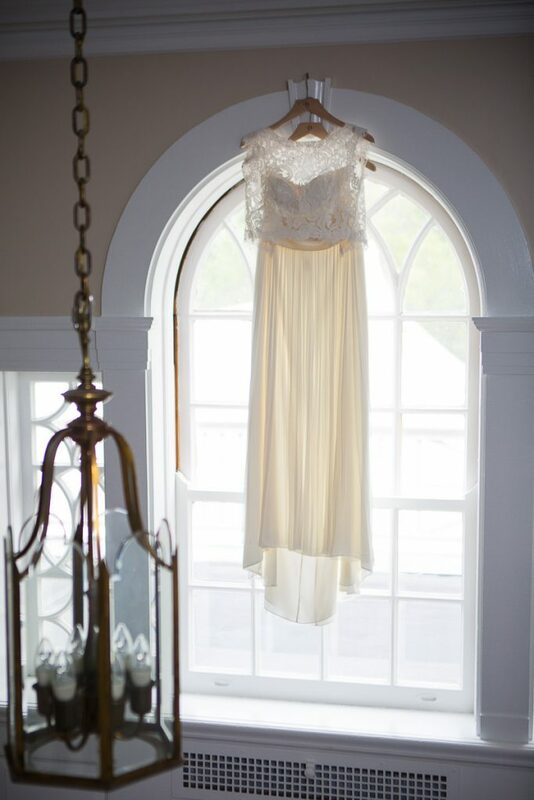 The quiet moments when the bride is getting ready are always so beautiful. There is something about the excitement and anticipation between the bride and those that love her that is captivating. This is always my favorite part of the day… the bride walking down the aisle and seeing the groom’s reaction! The interaction between the father of the bride and his daughter can always make me teary eyed too. Just look at the way he adores her! This is why I love photographing weddings. French Park is beautiful but so is the inside of The French House. We made sure to get a few portraits on the staircase that we love so much. The bride and groom were surrounded by people that love them. This wedding party was so kind and you could tell they were such a great group of friends. The beautiful sunset did not disappoint! Despite the chilly weather and cloudy skies most of the day we somehow managed to have a gorgeous sunset. We can’t wait to hear all the great things that will happen for Eileen and Danny. We were truly honored to be a part of their wedding day. Click here to learn more about how AJ Studio can photograph your special event. Click here to see more about the French House from AJ Studio. This entry was posted in Weddings and tagged Cincinnati Wedding Photographers, French Park, The French House.